As the aluminum F-150 generation enters its fourth year on the market and its two top truck competitors Silverado and 1500 join it with increased aluminum content, repairers should familiarize themselves with the types of corrosion which can occur on the metal if a repair’s not up to snuff. The Aluminum Association last year produced a handy guide to the three dominant corrosion phenomena found in in automotive applications: crevice corrosion, filiform corrosion and galvanic corrosion. Fortunately, unlike rust on steel, aluminum corrosion tends to be “cosmetic in nature” rather than structural, according to the trade group — the corrosion produces an ugly paint job but leave your vehicle intact. “Corrosion of aluminum is predominantly surface corrosion and does not penetrate through the thickness of the material and does not weaken the structural integrity of the part,” the Aluminum Association wrote. 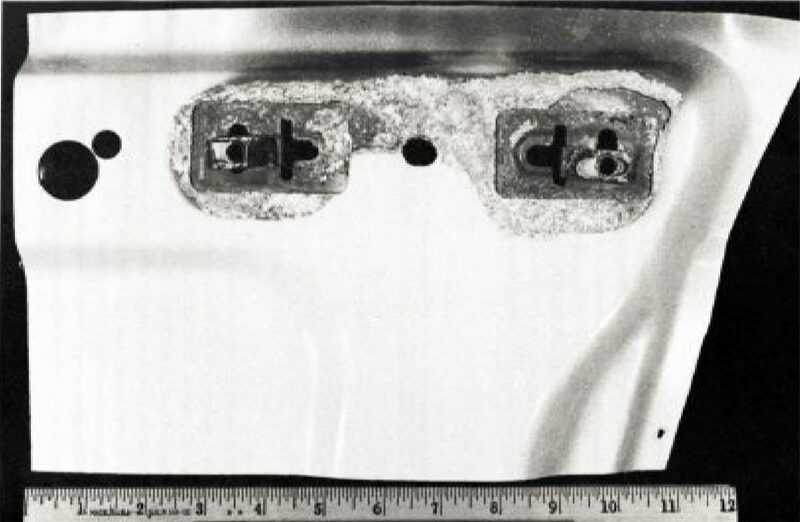 However, a collision repairer pointed out that naturally occurring aluminum oxide on a bare aluminum surface — a fourth type of corrosion worth noting — can cause weld porosity. Your customer’s also still likely to notice cosmetic issues produced by aluminum corrosion — which means you’d better get it right the first time. Here’s what to look for and how to prevent it. 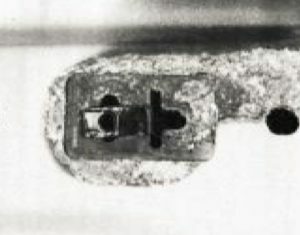 Crevice corrosion happens when a corrosive liquid, such as salt water, makes its way through an opening to settle between aluminum and alumimum or aluminum and another substrate, such as steel or even plastic, according to the aluminum association. “Higher temperatures, salt content and other factors can accelerate the corrosion,” the association wrote. The corrosion typically appears as shallow “pits or etching patterns” and will turn up in “under gasket fittings, welded lap joints, overlapping metal seams, folded or formed sheet hems,” according to the association. The solution is to use whever primers, sealers, coatings and seam sealers the OEM says, the Aluminum Association wrote. Filliform corrosion loves to screw up your paint job but generally isn’t a structural issue, according to the association. It appears on the substrate underneath your coatings, often after a” stone chip, scratch or sharp cut edges, or punched or drilled holes” create an opening. It can spread underneath the coating, capitalizing on voids in an adhesive or an inconsistent oxide layer on the substrate, the trade group suggested in an October 2017 study of a bubbling hood paint job. This is why an OEM or paint manufacturer might have strict guidelines for how you prepare a surface before refinishing it. The trade group recommends you follow OEM instructions and do a nice job of cleaning the metal and removing defects. Galvanic corrosion is why you need a duplicate set of tools for aluminum work which are never used on steel. It exists when aluminum touches a dissimilar metal in the presence of a corrosive liquid and electrical current path. Commonly, this means that aluminum, steel and any trace of water which isn’t distilled starts corroding the aluminum. “The rate of galvanic corrosion is very slow, requiring many hours of exposure to an electrolyte before visible corrosion is observed,” the association writes. So either make sure the two materials never touch, or use “sealers, such as adhesives, primers, and other paint coatings” to keep an electrolyte like salt water away from them. The association says you should use whatever products the OEM recommends to fend off this scientific process, such as sealants, coated fasteners coatings and insulating washers. Collision guru Toby Chess (Kent Automotive) also wrote in to point out another form of corrosion, aluminum oxide, also will be a problem for collision repairers. Repairers need to move quickly once aluminum oxide has been removed from a substrate. It bounces back quickly.